Sunday fun-day! It’s that time of the week again: Geek of the Week, presented by CloudWedge! Last week, we had a CEO and founder win the Geek of the Week award (partly because of his amazing moustache, but mainly because of the amazing cloud software platform his company delivers). Though all Geek of the Week winners have their own incredible stories, we feel as though last week was truly special, as we are very fond of Vend’s platform (and of course Mr. Rowsell’s moustache). We thought, going forward, it would be very difficult to replicate our feelings toward another Geek of the Week winner, at least for quite some time. Little did we know that just one week later, we would be in shock and awe. 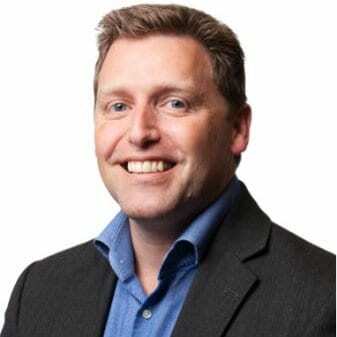 Before we get to the story, allow us to introduce this week’s winner: Richard Munro – VMWare CTO for vCloud Air! So, what’s so special about Mr. Munro? For those of you who missed it, see here. Panasonic had been touting its new lineup of Toughpad tablets. They made a claim that this lineup enables productivity from any location on Earth. Well, Mr. Munro decided to not only test out this claim by climbing Mount Kilimanjaro (19,340 feet) and turning on his Toughpad FZ-X1, but he also demonstrated to the world that you can build a virtual machine hosted within his VMware hybrid cloud. Facebook and Privacy: Will Zuckerberg Be Held Responsible? © 2019 CLOUDWEDGE.COM. All Rights Reserved.